“If life ain’t hard, you ain’t doin’ it right.” Showtime has just released a new trailer for season two of I’m Dying Up Here. From executive producer Jim Carrey, the drama centers around the L.A. comedy scene in the 1970s. The cast includes Melissa Leo, Ari Graynor, Michael Angarano, Clark Duke, Andrew Santino, Erik Griffin, RJ Cyler, Al Madrigal, Stephen Guarino, Jon Daly, and Ginger Gonzaga. Season two of I’m Dying Up Here premieres on Showtime on May 6th at 10 p.m. ET/PT. LOS ANGELES – March 23, 2018 – SHOWTIME has released the trailer for the second season of I’M DYING UP HERE. Created and executive produced by Dave Flebotte and executive produced by Golden Globe(R) winner Jim Carrey and Michael Aguilar, the fictional I’M DYING UP HERE explores L.A.’s famed ’70s stand-up comedy scene, with an ensemble cast led by Academy Award(R) winner Melissa Leo (The Fighter) and Ari Graynor. 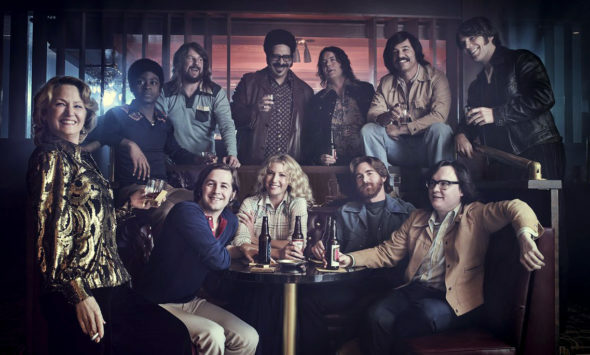 The 10-episode season of I’M DYING UP HERE will premiere on Sunday, May 6 at 10 p.m. ET/PT. What do you think? Have you seen I’m Dying Up Here? Will you watch season two? More about: I'm Dying Up Here, I'm Dying Up Here: canceled or renewed?, Showtime TV shows: canceled or renewed?